← The Internet has ruined April Fools’ Day. To paraphrase the old axiom, ‘no one ever went broke trying to sell people’s childhoods back to them’. We are currently staggering under the weight of comic book movies, cosplay one-upmanship and adult Disney fandom. There’s even a word for it – kidult. I admit participating in some of the previously mentioned but the most recent kidult hobby has me concerned. Adult colouring books are the latest hot hobby. And much like all the best manufactured hobbies (I’m looking at you scrapbooking) it’s all about consumption. You have to buy the books of course, but apparently it has also done wonders for the coloured pen industry. People have carrying cases full of these things close at hand in case they feel the urgent need to colour. I have a lot of hobbies, almost too many to mention here. I pick up new hobbies like most people pick up colds. I am used to being considered a little weird because I sew/knit/make wine/write/whatever. But at least I’m producing something. People say that colouring is calming and a form of meditation, and it probably is, but really, if you have the time to colour you have the time to take up a real hobby and learn an actual skill. Learn to knit, garden, make soap or learn to cook. All are equally meditative and you end up with something at the end of it and you improve yourself at the same time. 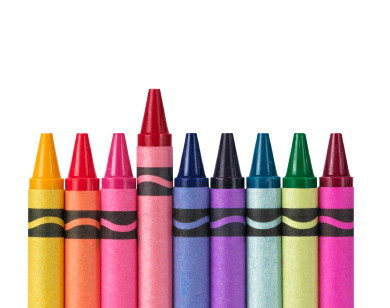 Colouring teaches you to consume, but not to produce. This entry was posted in Craft and tagged anticonsumption, colouring books, cosplay, Disney, fandom, hobby, kidult, rant. Bookmark the permalink.